Comes in 2 sizes: 16in. 24in. diameter. Indoor outdoor use. Energy-efficient, upgraded Worry-Free LED light. Every tip is a individual LED light. Warm white glow, 5 setting options. 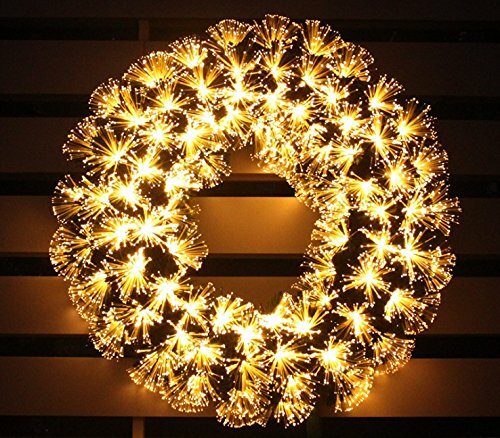 Made of High quality PVC fitted with optic fiber, very beautiful details both the lights are on and off. 30% off on our already low price during New Arrival Promotion time, apply to limited quantity only.